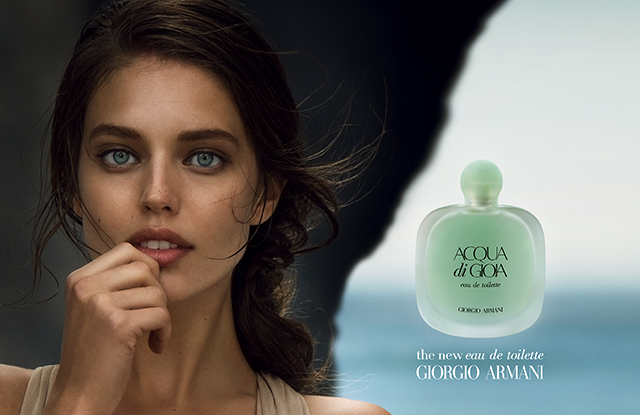 Just in time for spring session, would like to share with you a new fragrance by Giorgio Armani presenting by Emily DiDonato, the face of ACQUA DI GIOIA Eau de Toilette. Believing most of you guys especially beauty junky knows that Acqua di Gioia (previous debut fragrance) is a signature and also huge success in fragrance field because one bottle of Acqua di Gioia is sold every 20 seconds worldwide. 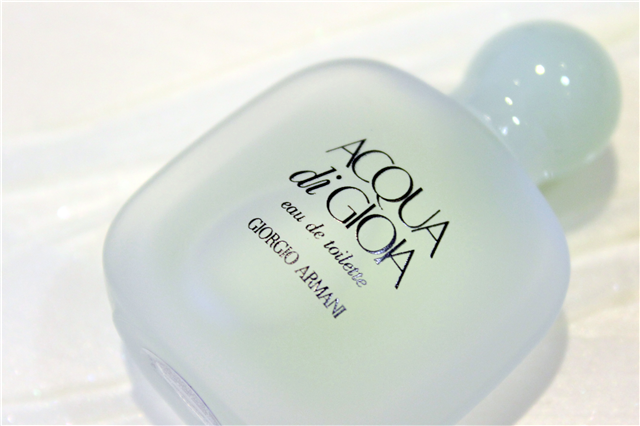 Giorgio Armani Acqua di Gioia Eau de Toilett is a vibrant new fragrance inspired by the heart of nature. Seductive sea aromas in the new fragrance are put into first plan and used as creator's inspiration. From water, air and sun, a life source of eternal youth and happiness. A transformation of the perfect harmony of the original fragrance through a sensory voyage into light. 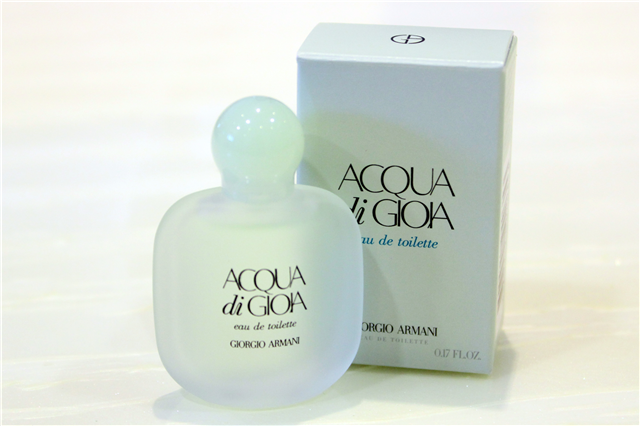 ACQUA DI GIOIA Eau de Toilette is an infusion of energy, emdodying a vital, sensual woman. Empowered by nature, she is serene in her beauty yet alive with pleasure and possibility. The coming of Spring is her rebirth, where her spirit is replenished. She is at peace, seduced by the freshness of the air, the caress of the sun's vibrant rays and the sweet euphoria of flowers in full bloom. 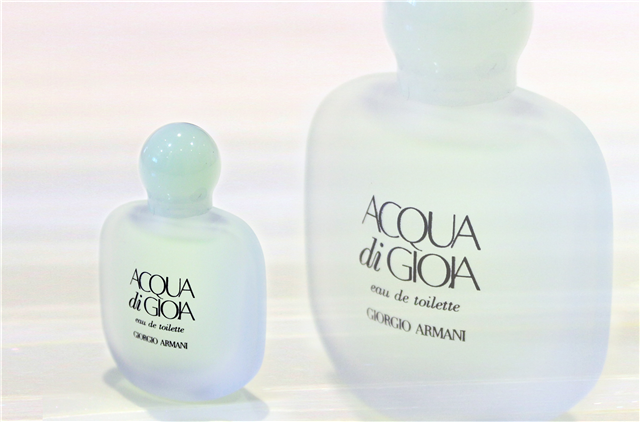 The design of the new Giorgio Armani Acqua di Gioia Eau de Toilett was still inspired by the previous signature Acqua di Gioia series, which was made as a natural shape like a water drops which are airy, pellucid and with matte texture. 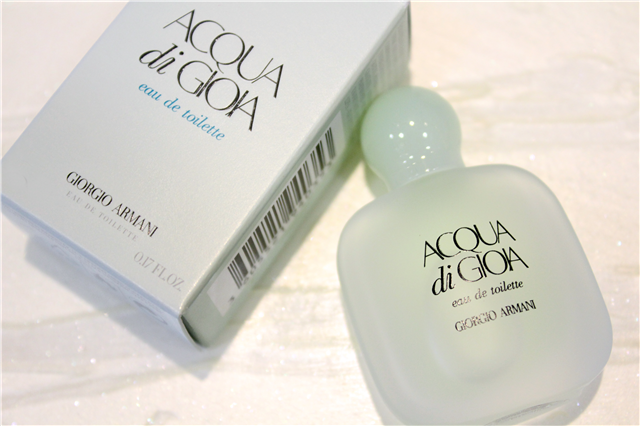 Giorgio Armani Acqua di Gioia Eau de Toilett as a blend of refreshing notes of Primofiore lemon and black currant, mixed with fresh pear and violet leaves. The heart is fresh, silky and airy, made of peony and two types of jasmine (crystal and sensual Sambac jasmine). The base notes include cedar wood and cashmere, as well as sweet accord of brown sugar.